Comedy nights at Faena Theater continue with a laugh-out-loud stand-up routine by Houston’s Funniest Person winner, Matthew Broussard, on Wednesday, March 7 at 9:00 p.m. 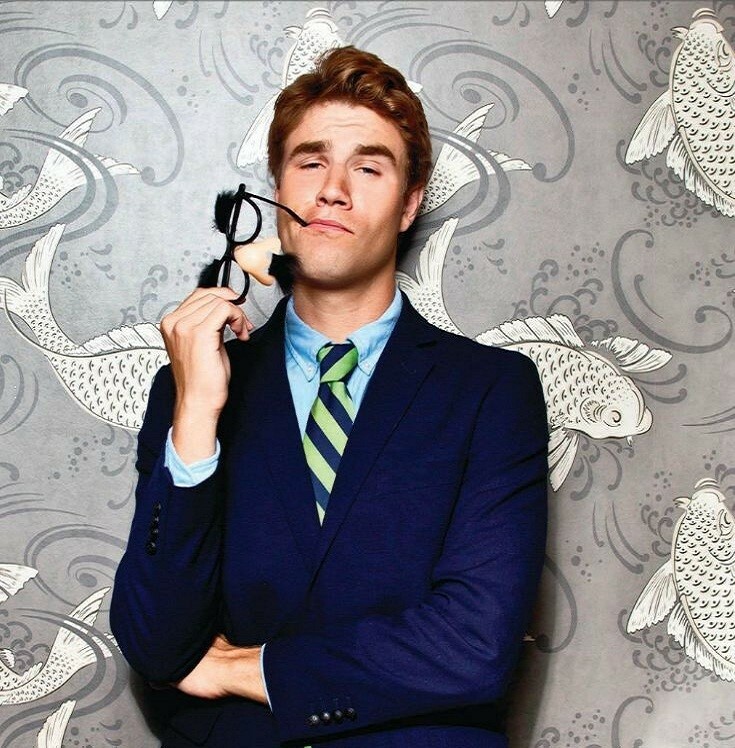 Known for his subtle wit, killer hair and love of all things pun-ny, this rising star has captivated crowds throughout the world on stage and on screen, including features on Comedy Central’s “Half Hour with Matthew Broussard,” and “Adam DeVine’s House Party,” NBC’s “Last Call with Carson Daly” and E! Network’s “Worst I Ever.” Tickets begin at $30 and are available at www.faenatheater.com and Ticketmaster. For more information, visit www.faenatheater.com or call +1 786 655 5742. 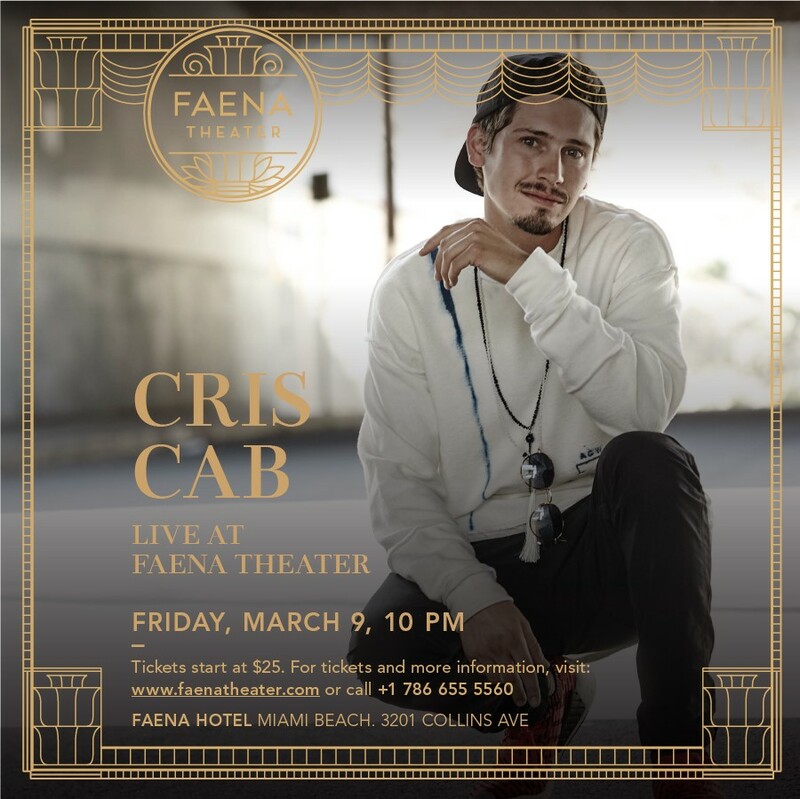 Miami’s own Cris Cab brings his unique blend of reggae, soul and pop to Faena Miami Beach for an unforgettable performance on Friday, March 9 at 10:00 p.m. the grand Faena Theater. Known for his infectious hits like “Liar Liar” and “Colors,” Cris Cab and his dance-worthy rock and reggae-inspired works have captivated millions worldwide both on stage and online. A mentee of Pharrell Williams, the award-winning artist has worked alongside some of music’s biggest names, including Big Sean, Mike Posner, Wyclef Jean, Pitbull, B.o.B. and J. Balvin, while energetic performances at major music festivals and worldwide tours have quickly propelled him into the international limelight. At just 25 years old, this Florida native is well on his way to becoming pop’s next big thing – and he’s just getting started. Tickets begin at $25 and are available at www.faenatheater.com and Ticketmaster. For more information, visit www.faenatheater.com or call +1 786 655 5742.